In 1945, Jella Lepman was asked by the United States Army to serve as a cultural and educational advisor for her native country. While being driven around war-ravaged Germany in a U.S. Army jeep, Jella noticed how hungry the German children were for books since their schools and libraries had been destroyed. Jella wrote letters to publishers all over the world and asked for donations. These donations became an exhibition of children’s books that traveled throughout Germany. Seeing how much children wanted a book of their own to touch and to keep, Jella personally translated The Story of Ferdinand, the story about a bull who would rather smell the flowers than fight, into German and persuaded a newspaper to print 30,000 copies so she could distribute them. Jella then asked the Rockefeller Foundation in the United States for money to build a library, and in 1949, the International Youth Library opened in Munich. The research collection today contains 500,000 children’s books in more than 130 languages. 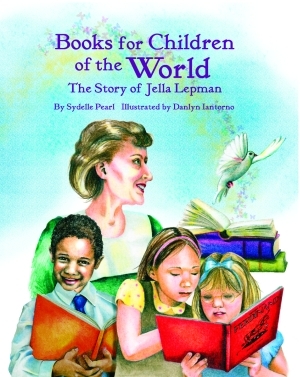 Books continue to be donated by various countries, forever honoring the spirit of Jella Lepman and her belief that books truly can make the world a better place. Sydelle Pearl’s previous book with Pelican, Elijah’s Tears: Stories for the Jewish Holidays, received a Storytelling World Honor Award in 1997 and was listed on the Bank Street College of Education Best Books List for the Year in 1998. She has been a storyteller at libraries, schools, museums, day-care centers, and festivals since 1991. A writer of folk songs for adults and children, she is also fond of incorporating songs into her stories. She lives in Pittsburgh, Pennsylvania. Danlyn Iantorno is a graphic designer and artist with her own studio. She has worked as a marketing manager and a promotional products account executive. 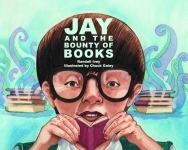 She is a member of the Colorado Alliance of Illustrators and the Society of Children’s Book Writers and Illustrators. She enjoys knitting, dancing, yoga, flower arranging, and drum and bugle competition. She lives outside Denver, Colorado. Click here for the Books for Children of the World study guide.